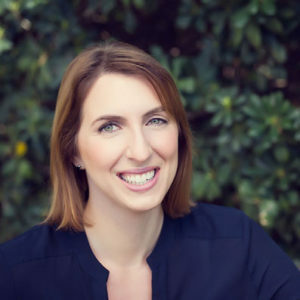 Impact Sciences is excited to announce that Owner and Managing Principal Jessica Kirchner Flores has been elected to serve as President of the National Association of Women Business Owners Los Angeles chapter (NAWBO-LA) with her official installation slated for July 2019. 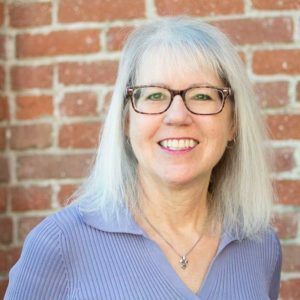 As the current President-elect and chair of the Advocacy Committee, Jessica plays an integral part in fulfilling NAWBO-LA’s mission to support business owners through education, networking, and social events and in the process advance women to positions of influence professionally, socially, and politically. 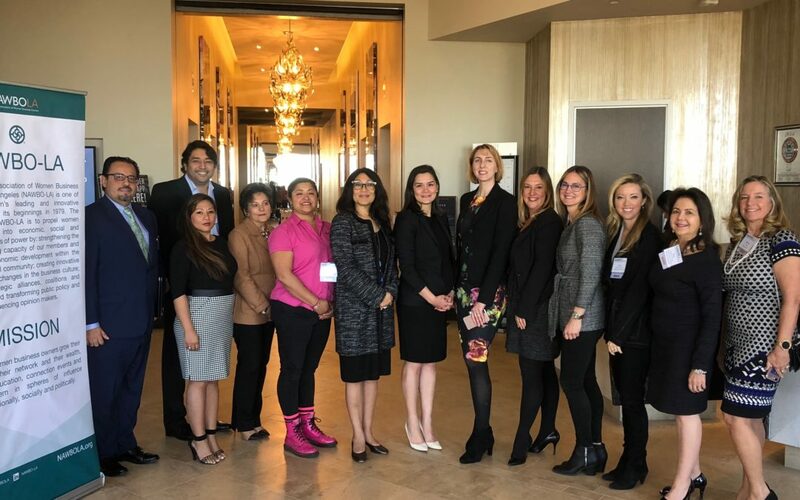 When the organization sponsored SB 826: Women on Corporate Boards, NAWBO-LA played a key role to help build awareness and support for this important piece of legislation that requires gender diversity in corporate boardrooms. Now with the legislation passed, NAWBO-LA’s mission has shifted to assisting corporations with its implementation. 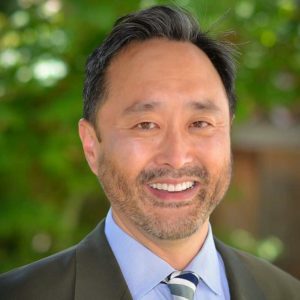 A key idea of the legislation is to create a cascading effect for helping women not just on corporate boards but also within business in general. Under Jessica’s guidance, the Advocacy Committee is taking an extra step forward by developing a pathways program to serve as a pipeline for women to make their mark with lucrative positions on corporate boards that have traditionally been held by men. 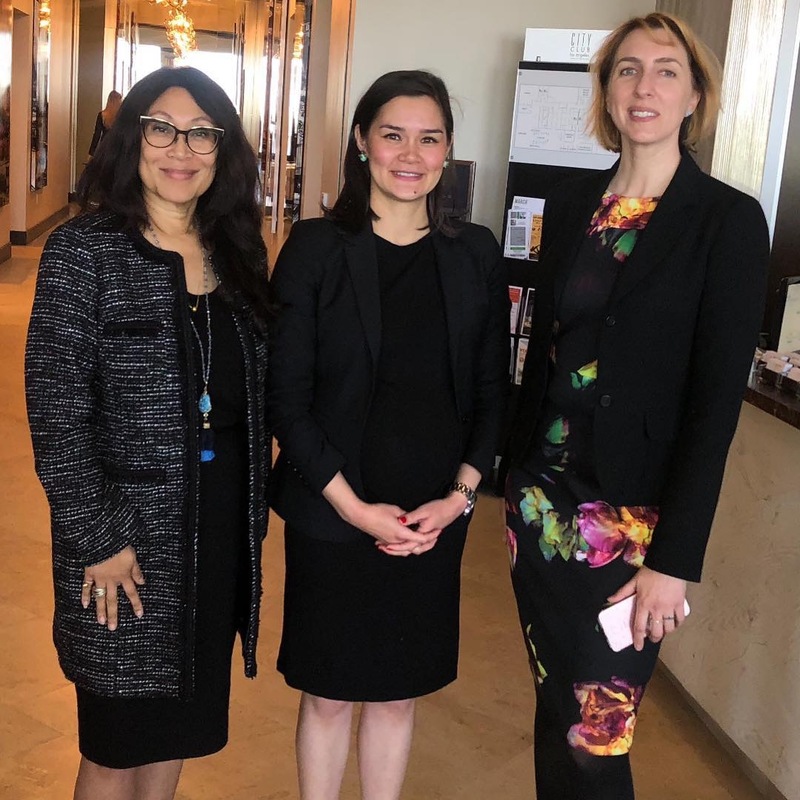 Jessica Kirchner Flores with Assistant Secretary of the Department of State Bureau of Public Affairs Michelle S. Guida and NAWBO-LA President Schenae Rourke (right to left). Among other influential moves for NAWBO, the Advocacy Committee has a particular focus on the California Supreme Court ruling in the Dynamex Decision, which seeks to restrict the use of independent contractors in California. Under Jessica’s leadership, the committee is investigating how the court decision affects small businesses and women business owners in particular. 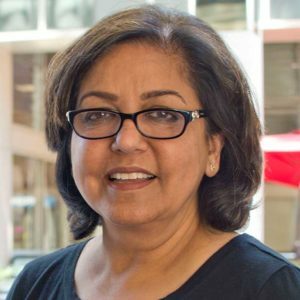 “Small business owners are going to be impacted by it,” she says while expressing concern for the many women business owners, like herself, who rely on independent contractors to deal with the unpredictable nature of consulting. Curious about the best way to get involved with NAWBO? It’s simple. “Join!” says Jessica. For more information about NAWBO’s Los Angeles chapter and upcoming events, visit them online at https://www.nawbo.org/los-angeles.